E.g.1Find a range of x in which a root for f(x) = x2 -x -3 exists. Since there is a chagne in sign in the range, 2≤ x ≤3, a root of the function exists in the same range. If f(x) = 0 and it can be rearranged in such a way that x = g(x), where both f(x) and g(x) are functions of x, x = g(x) is said to be in iterative form. In the above iterations, g(x) = √(6 + x) or g(x) = x2- 6 or g(x) = 1 + 6 / x. When the above equation - x2 -x - 6 = 0 - is written in one of the above forms with 'x' being the subject, they are said to be in an iterative form. That means, when the a value is substituted for 'x' on the right hand side the value of 'x' on the left can be obtained. Then the latter is put back in the equation to generate the other value. This goes on until, x approaches a constant value. This value is taken as a solution. Therefore, the actual iterative formula takes the following form, depending on the rearrangement. The first value of x - x0 - is taken from a range of possibilities - guesses. Now let's solve one of the above equations using iteration. First, guess a range where a solution could exist. Press the button and it will provide you with one. Have you noticed the way 'x' values approach the solution? ; the longer you go the better.You can now see the beauty of iteration; it helps us find the root of an a function; since we have different forms of iteration, we can use some of them to find all the roots. Have you noticed the way 'x' values approach the solution? The longer you go the better. You can now see the beauty of iteration; it helps us to find the solution of an equation; since we have different forms of iteration, we can use each one of them to find some of the roots, if not all. 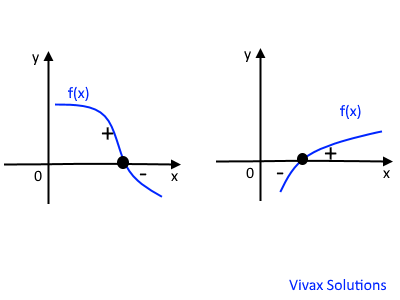 Of course, in this simple example, a quadratic function was used for illustration. Iteration is generally used for higher polynomials such as cubic functions and more complex functions. Find a root of the function, x3 + 4x - 3 by iteration. 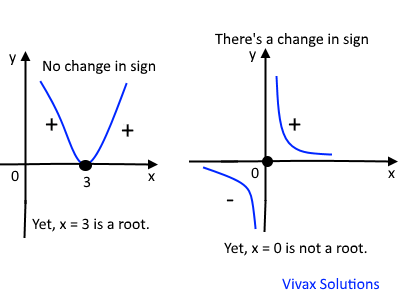 f(0) = -3; f(1) = 2 => There is a change in sign between x = 0 and x = 1; therefore, a root could exist in the range. Now, let's make the iterative formuala. Let x0, the initial value = 0. So, the root is approximately, x = 0.673 (3 d.p.). The following animation shows how to use Microsoft Excel in finding a root of a function by iteration. Find a root of the function, f(x) = x3 + 3x - 5 by iteration. So, there must be a root between x = 1 and x = 2. The iteration will find it. As you can see, x = 1.67 is a root to 2 d.p. Practice is the key to mastering maths; please visit this page, for more worksheets. Please work out the following questions to complement what you have just learnt. Solve x2 - 5x + 6 =0, using x = 2.5 as the initial value. You can experiment with iteration here: change the value of x0 in x-nought and the number of iterations in no_iterations and experiment with it. See the Pen Iteration for GCSE 9-1 and Pure Maths A-Level by VivaxSolutions (@VivaxSolutions) on CodePen.